The first-generation BMW X4 was a bit of an odd car for BMW. Its styling was interesting but it was never exactly pretty and, at times, it felt as if it was a bit of an afterthought. It kind of seemed like BMW chopped the roof of an X3 up and called it a day, just to meet customer demand. Because of that, not many enthusiasts were too in love with the X4, even though we did get an M Performance variant of it. Customers love it, though, as BMW sold 200,000 models worldwide in just a few short years. So it warranted a second-generation. 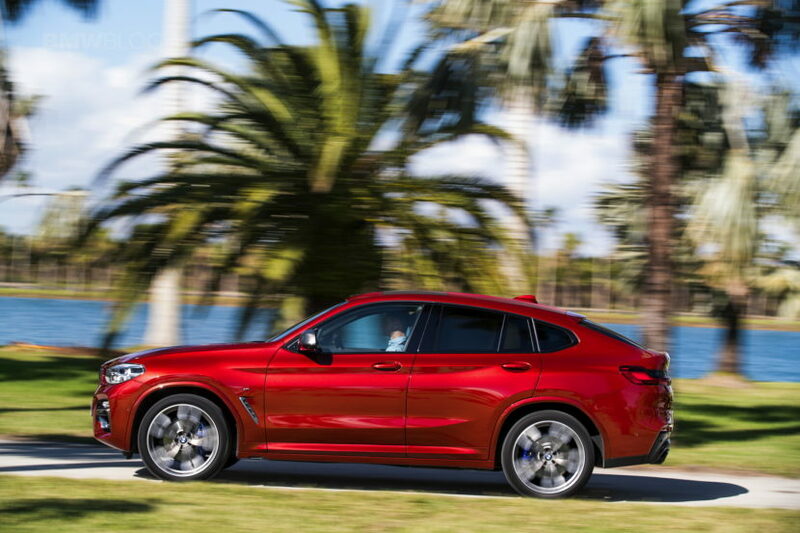 And this is it — the 2019 BMW X4. And it doesn’t seem like an afterthought at all. 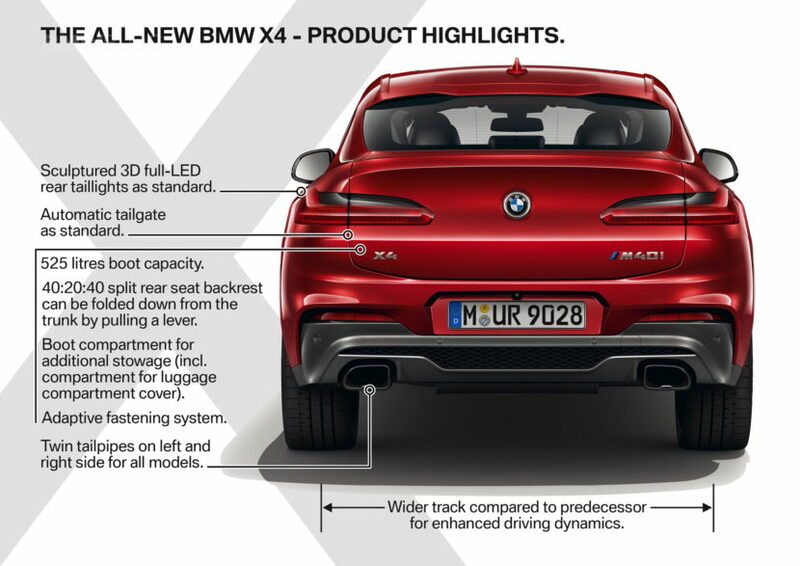 Built on the same new CLAR platform as the BMW X3, the new BMW X4 seems like its own car and not just a chopped X3. While it does look similar to the X3, you can tell just from looking at it that BMW had the X4 in mind from the beginning of the X3’s development. The new X4 might still not be a pretty car but, to our eyes at least, it looks much better than the old car. It’s smoother, more purposeful and has some genuinely nice angles. 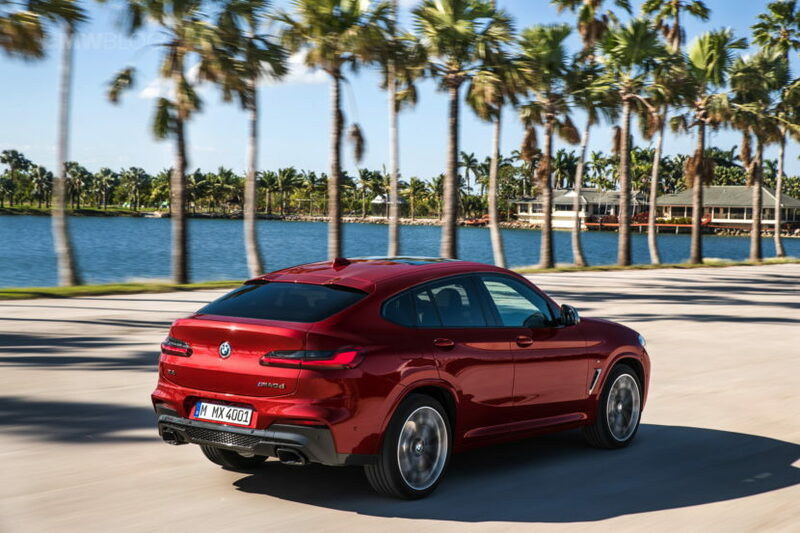 The BMW X4 is 3-inches longer, 1.4-inches wider and 0.1-inch lower than the previous car, while also have its wheelbase lengthened by 2.1-inches. That extra length in wheelbase will increase stability and handling, while its wider wheel track will give it better grip and handling. It also gets nearly a perfect 50/50 weight distribution, front-to-rear. From the B-pillar forward, it’s basically an X3, though. And that’s no bad thing, as the X3 is BMW’s best looking SUV in some time. But it gets the same headlights (LEDs are standard), large kidney grilles and heavily sculpted hood as the X3. So there’s really no surprises there. It’s from the B-pillar back where things get interesting. The shoulder line runs from the front fender all the way to the rear taillight, which gives it a low and aggressive look. Breaking that shoulder line up is a flared rear wheel arch that adds a muscularity to the X4 that makes it distinct from the X3. Personally, I also think that this new X4 sports one of the best examples of BMW’s famous Hofmeister Kink in a long time. 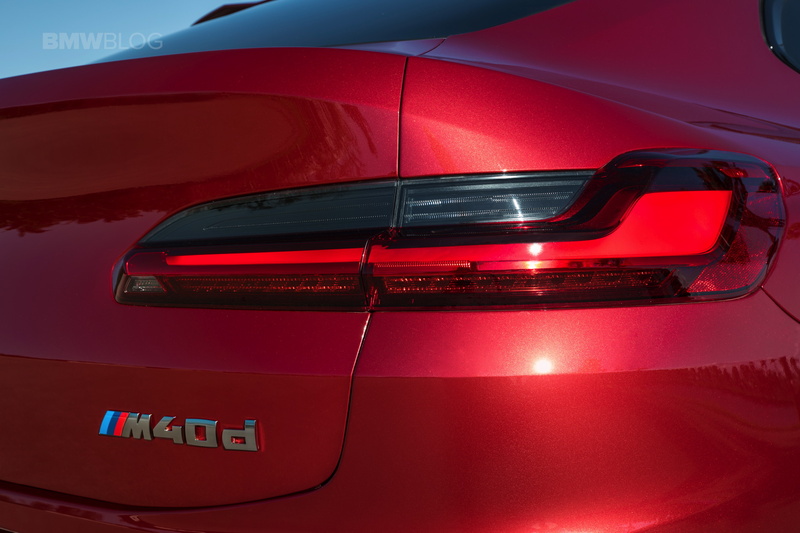 Out back, its taillights are slim and wide with what BMW calls “Three-Dimensional Shaping”. They look good, though, and are fully LED. Built into the rear deck is a pretty large spoiler, which gives the X4 a distinctively sporty look, even on non performance models. Though, one can’t help but feel that it looks a bit too much like the Mercedes-Benz GLC-Class Coupe. In fact, it almost looks carbon-copied from that car. Either way, it’s an improvement over the previous generation X4. There will be a few models available at launch, with the usual suspects of powertrain options as well as a new one. 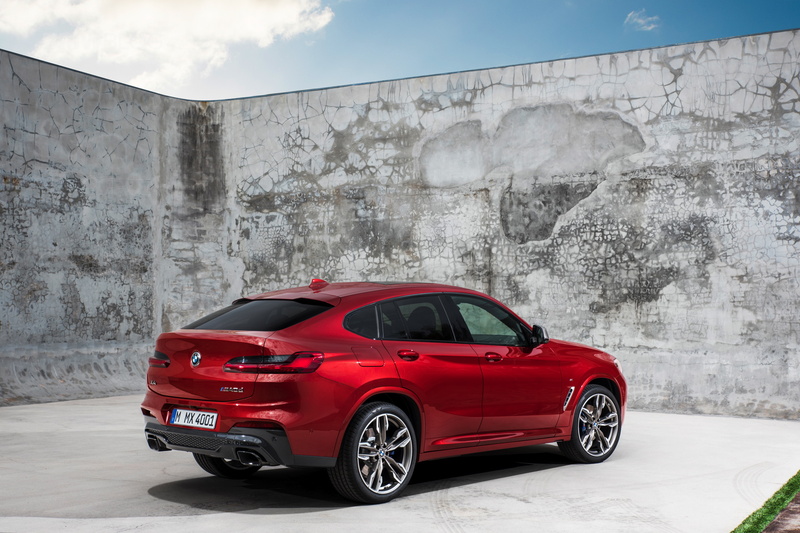 In the US, there will only be two at launch, the BMW X4 xDrive30i and the BMW X4 M40i. The former will use BMW’s typical B48 2.0 liter turbocharged four-cylinder engine, which makes 248 hp and 258 lb-ft of torque. The latter will use BMW’s B58 engine, rather than the old X4’s N55 engine, and it will make 355 hp and 369 lb-ft of torque. Both will be paired with the ubiquitous ZF-sourced eight-speed automatic and xDrive all-wheel drive. 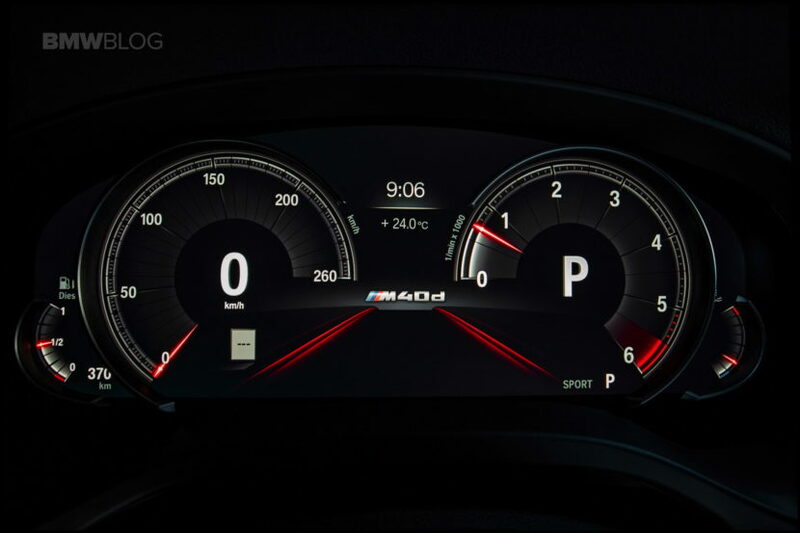 According to BMW, the X4 M40i can get from 0-60 mph in 4.6 seconds, which is the same as the X3 M40i. 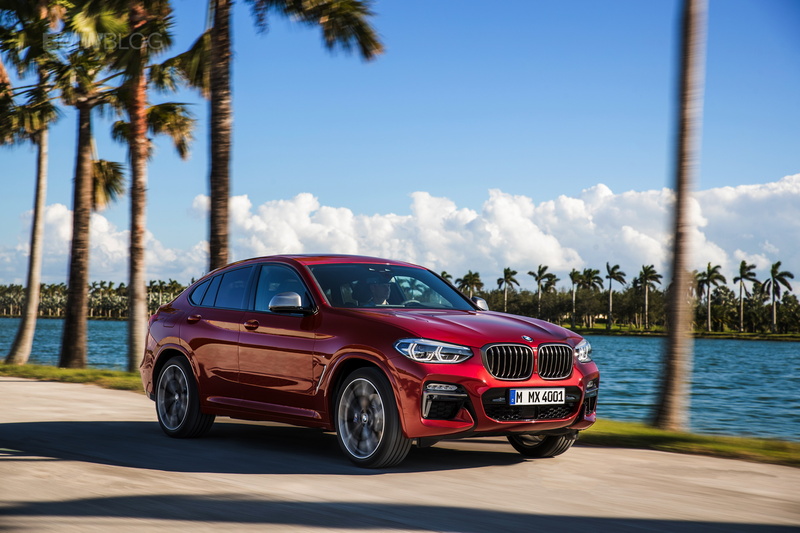 Europe will get a few more options, including the X4 xDrive20i, X4 xDrive20d and the X4 xDrive25d. The xDrive20i will get a 2.0 liter turbo-four with 184 hp and 213 lb-ft. While the xDrive20d will get a 2.0 liter turbo-diesel with 190 hp and 295 lb-ft and the bigger xDrive25 gets a 2.0 liter turbo-diesel with 231 hp and 368 lb-ft. All will get the same eight-speed gearbox and all-wheel drive. The big news for the BMW X4 is the addition of a new performance model. 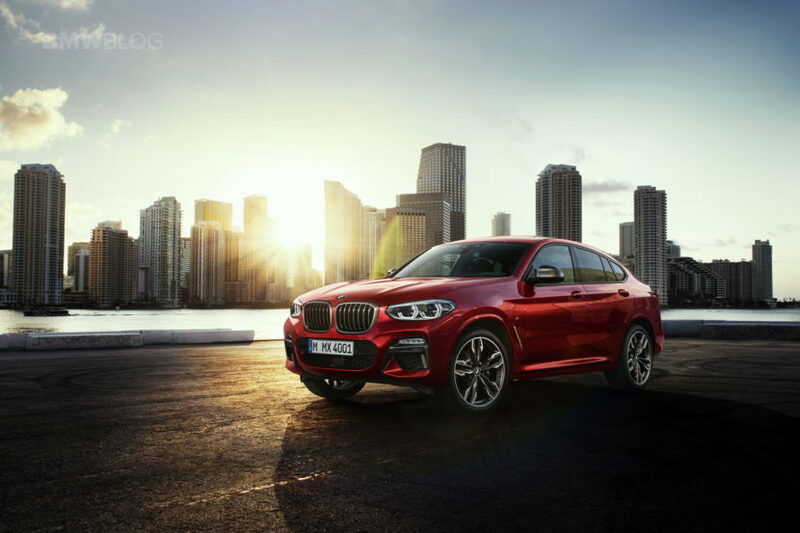 The BMW X4 M40d will be a diesel M Performance variant of the X4 and it’s something we’re very excited about. The euro-market only X4 M40d will use a 3.0 liter turbocharged I6 diesel engine that makes 326 hp and a whopping 501 lb-ft of torque. We’re a bit sad that it’s not coming to the US market because the M40d sounds like the one to get but we’re just happy it’s being made. All models will get the newest version of BMW’s xDrive all-wheel drive system that’s been optimize for both on-road performance and better safety and security when the road disappears or the weather gets scary. While we wouldn’t recommend off-roading the X4, we’ve seen what the X3 can do in some seriously rough conditions, such as a Moroccan desert. New aluminum swivel bearings, lightweight tubular anti roll bars and new wheel location components at the front axle have given the X4 a reduction in unsprung mass at the front and better handling on the road. Also, M Sport suspension and BMW’s newest variable sport steering are both as-standard equipment on all X4 models from the xDrive30i and up. 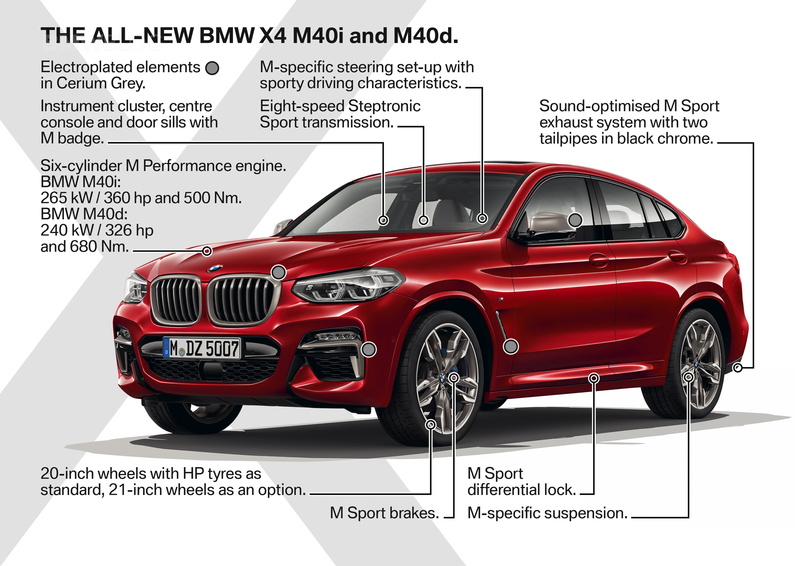 The BMW X4 M40i and M40d will both get their own Adaptive M Sport suspension with M Sport brakes and sharper steering. 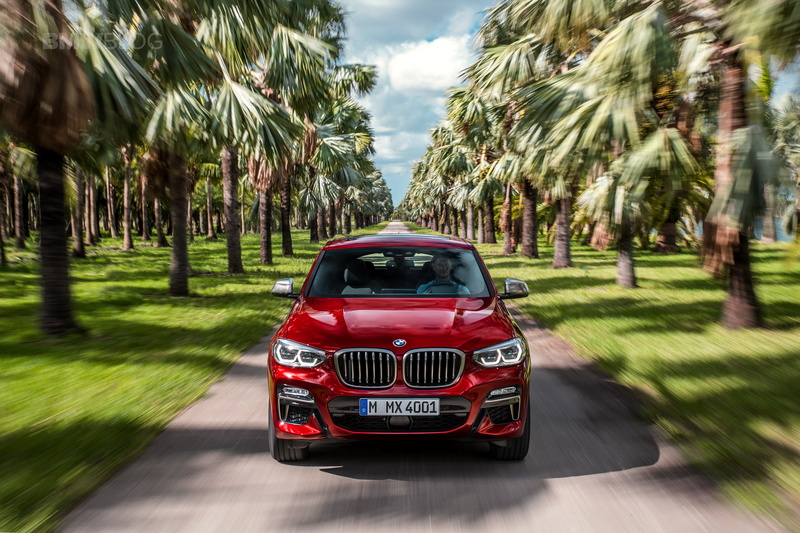 If the BMW X3 M40i is any indication as to how the X4 M Performance models will drive, color us excited. 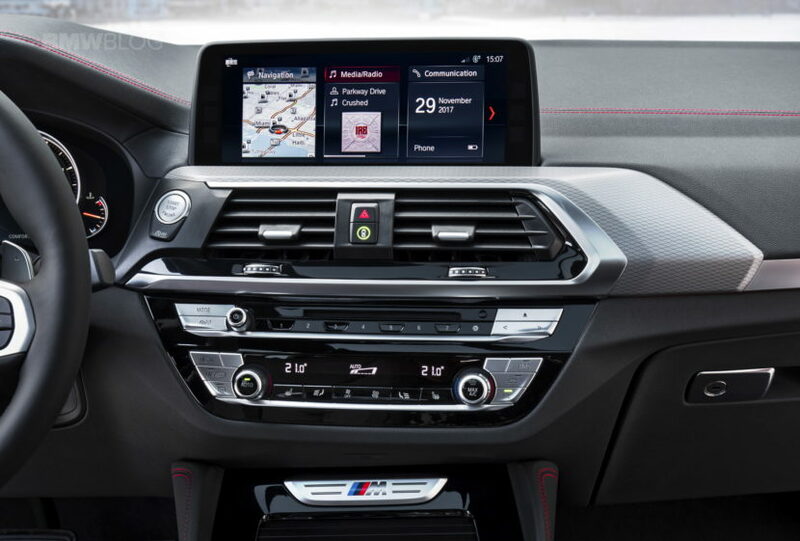 The X3 M40i is one of the very best driving modern BMWs, including cars like the BMW M2 and M3. 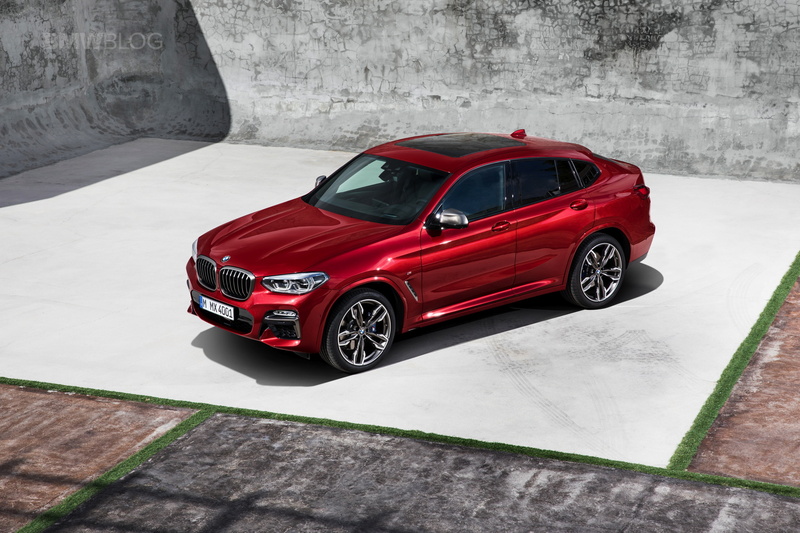 So if BMW can take its virtues and add them to a lower, lighter and even slightly sportier package, the X4 M40i and M40d are going to be great cars. 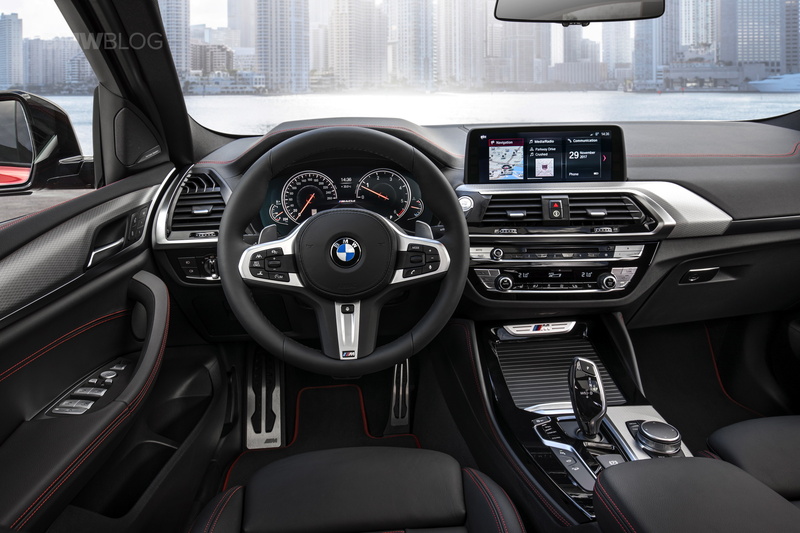 All BMW X4 models will come with as-standard iDrive and navigation on the 10.25-inch touchscreen, but the traditional iDrive controller will remain. 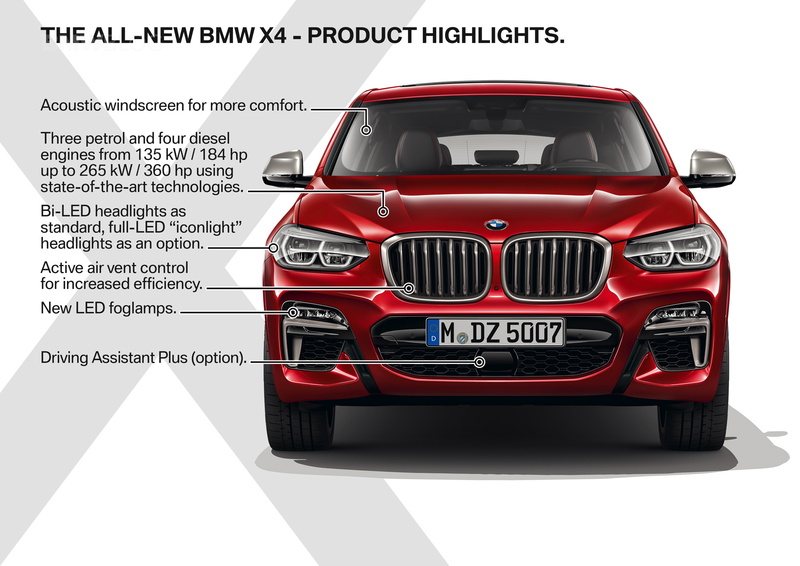 All X4s will also be available with BMW’s new suite of advanced safety technology, such as Frontal Collision Warning, Automatic City Collision Mitigation and Braking including Daytime Pedestrian Detection, and Speed Limit Information. 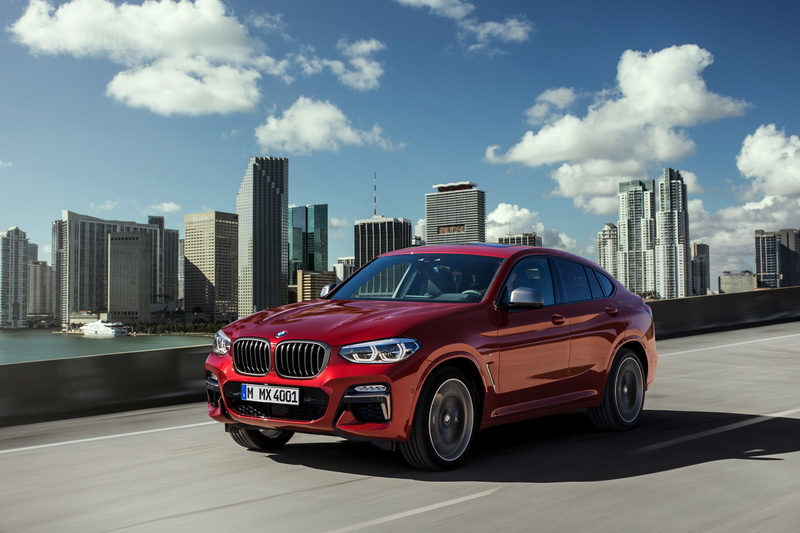 Now, the BMW X4 M40i and M40d can be had with BMW’s Individual treatment, which will allow customers get spec some pretty interesting color and option choices. One new Individual color will be Sunstone Metallic. Inside the X4, sport seats will be standard and new optional Vernasca leather, an exclusive X4 option. There’s also a new color option, Tacora Red, as well as black leather available with either blue or red contrast stitching. 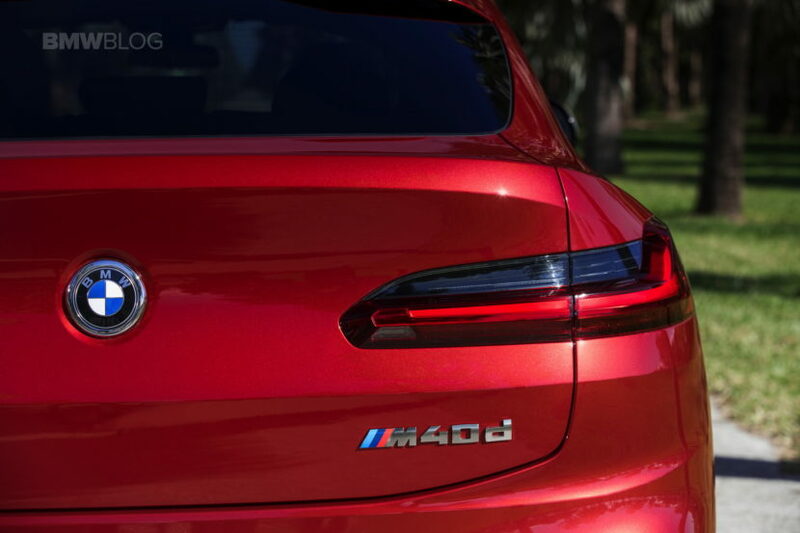 The red looks great, as we’ve seen so much blue stitching in BMWs lately. This new BMW X4 seems to be a pretty big improvement over the previous-generation. It’s better looking, has a much improved interior, comes with more powertrain options (as well as the new M40d) and is built on an entirely new chassis which is significantly better than the previous-gen’s. 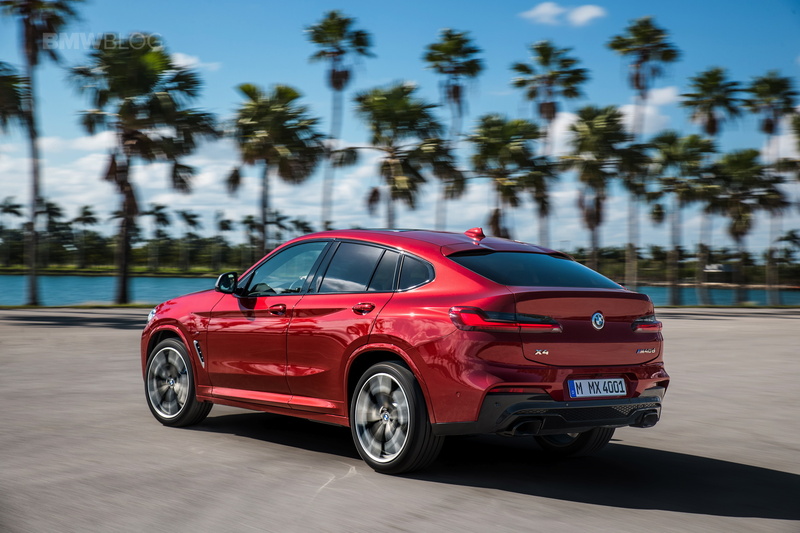 We’re excited to drive the new BMW X4, especially its two M Performance variants, to see if it’s any sportier or more exciting than the X3, which we’re already big fans of. The all-new 2019 BMW X4 will be available at certified BMW Centers in July 2018 with pricing starting at $50,450 for 30i, and $60,450 for M40i plus Destination and Handling.